On September 14th, Karma Tribe Yoga, Kansas City’s Premiere Donation-Based Yoga Studio, will be opening it’s doors to the public. Nestled on the fifth floor of the Historic Firestone Building in the Crossroad’s Arts District, Karma Tribe Yoga will offer yoga classes to the public on a pay-what-you-can basis 7 days a week. Karma Tribe Yoga is founded by local yoga teacher Lauren Leduc, who created Pop-Up Yoga KC in Spring 2015. After successfully holding donation-based yoga classes in many beautiful, visible, and unexpected outdoor locations, Leduc wished to find a permanent home for accessible yoga education. With skyline views in one of KC’s most innovative neighborhood’s, the 2001 Grand space is the perfect location to fulfill this dream. It is Karma Tribe Yoga’s mission mission to provide high-quality yoga education to the public in a serene, urban studio. Karma Tribe welcomes all genders, races, sexual orientations, abilities, belief systems, and income levels. 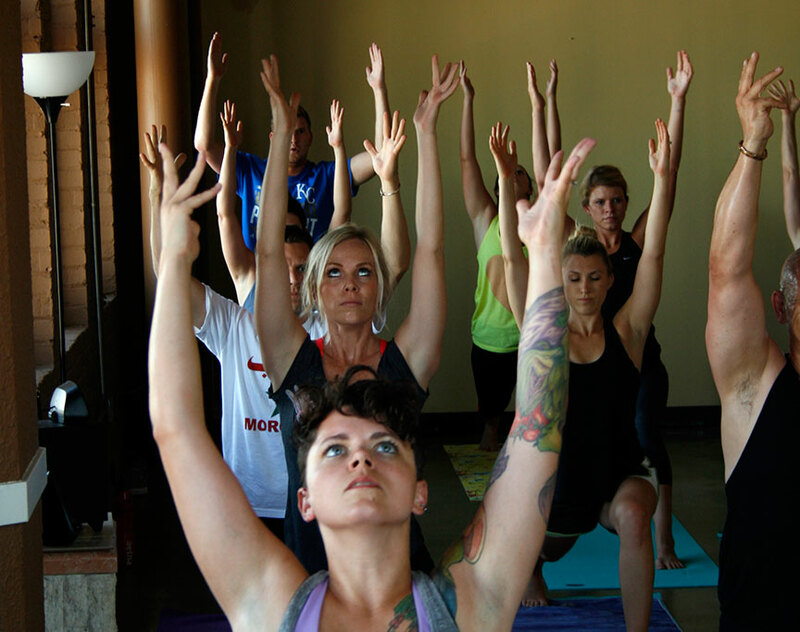 Until Karma Tribe Yoga officially opens, they are offering one class per week. Come join them on Tuesdays at 6pm for a fun, musical, all-levels Vinyasa class led by Leduc. Come celebrate the grand opening of Karma Tribe Yoga on September 12th from 6-8pm at 2001 Grand Blvd Suite 505. Complimentary food from Kansas City Taco Company and juice from Sustained Juice will be served.